Henan Daily News (by Yang Zhitian, a reporter from Anyang): on November 26, a ceremony was held in Neihuang Wind Power Plant of Anyang New Energy Company in CR Power Central-West China Region for grid connection of the wind power plant with an installed capacity of more than 7 million kilowatts in CR Power and the wind power plant with an installed capacity of more than 1 million kilowatts in CR Power Central-West China Region. Warm Winter in Nanjing Ensured by CR Power: Perfect Heating Service under the Guideline of "Three Lows and One Fast"
After the beginning of winter in Nanjing, the temperature is getting lower every day. The continuous winter rain makes the winter colder. The golden ginkgo leaves and the red leaves like the morning glow seem to have changed the look of the city overnight. Swaying in the wind, they are telling people that winter has really come. 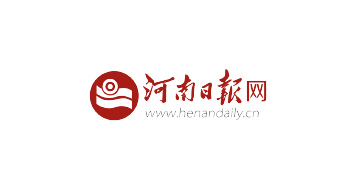 Henan's Clean Energy Transformation Boosted by Green “CR Power Electricity"
The first batch of six-star benchmark power plant of CR Power, the project winning the only special prize of the National Thermal Power Unit Competition, and several first prizes, and the large-scale flat-land wind plant in the densely populated area of the inland… In Henan, the birthplace of Chinese civilization, there are several typical energy projects in CR Power System. Industrial “three wastes”: waste water, waste gas and solid waste are important factors affecting environmental quality. In recent years, while strengthening supervision, our city has actively guided enterprises to increase investment in technological transformation and reduce emissions. Green production in the industrial sector has achieved remarkable results. CR Power's Baoji New Energy Company recently held an open day in the theme of "Green Development, Better Life" in Guguan Wind Power Plant. In the autumn, in the factory of Xuzhou / Tongshan CR Power Co., Ltd. ( hereinafter referred to as "Xuzhou CR Power") in "Pengcheng" Xuzhou City, white water vapor emerged lightly from the top of the cooling tower and melted away in the sky. The newly sown winter grass seeds are just inches long and exude grass fragrance. Xuzhou and Tongshan companies are two companies of CR Power. They are managed by two brands and one team, just like the "Pengcheng Power Plant" before that. As one of the country's super-large thermal power companies, the "Pengcheng Power Plant" with a total installed capacity of 3.28 million kilowatts is more like a green garden. More than 300 years ago, Xu Xiake (a famous traveler and geographer in Ming Dynasty) visited the Alu Ancient Cave in Yunnan Province and later wrote down an article that has been handed down through the ages. Thanks to his article, the Alu Ancient Cave has become famous all over China ever since. CR's Lianzhou Wind Power Plant is located in the mountains in the north of Lianzhou City, Qingyuan, Guangdong Province, where 95 wind turbines are turning slowly. On September 20, nearly 30 people, including the leaders from the government departments in Lianzhou City, teachers' representatives from Lianzhou City schools, dispatching center of Qingyuan City Power Bureau and the media, were invited to attend the open day in the theme of "Green Development, Better Life" organized by CR New Energy (Lianzhou) Wind Energy Co., Ltd. and Lianzhou Wind Power Office to get a close look at the production process of clean energy and the great achievement in green and environmentally friendly power generation. In Haiyuan County, few people do not know CR. On September 28, local students, residents and the media in Haiyuan County entered China Resources Wind Power (Haiyuan) Co., Ltd. to participate in the Clean Energy Month in the theme of "Green Development, Better Life" to get a close look at this well-received local enterprise. On September 30, CR Power Yichang Co., Ltd. held a public open day in the theme of “Green Development, Better Life”. Villagers around the factory area walked into Yichang Company to experience the real appearance of clean and efficient thermal power plants at close range. In order to completely win the battle in the prevention and control of air pollution, Xuzhou is determined to require all coal-fired power generation companies to carry out the transformation of the fume emissions system as soon as possible on the basis of ultra-low emissions specified by all power enterprises. In late September, Xuzhou CR completed the commissioning of the whitening project (Phase III) and realized the high-standard slurry condensation whitening technology on its two million units, thus becoming the first power company to realize it in China.